The map of Mare Humorum (Sea of Humors) contains a variety of lunar surface features. Most notable are the wrinkle ridges to the right of the mare basin. The crater Gassendi is at top left; it may be compared with the photobase drawing by Krieger (see item 27). 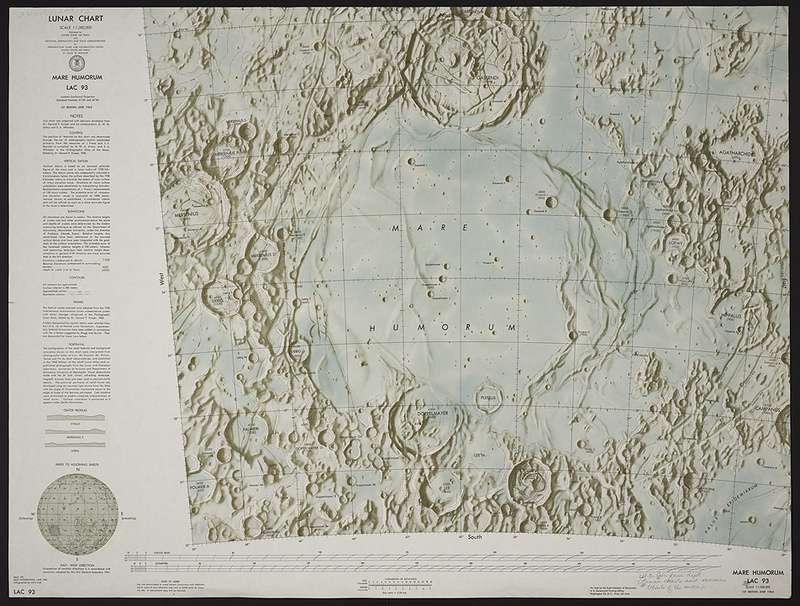 However, to make the comparison, one of the illustrations must be inverted, for the Air Force maps place north upward, ending the long-standing tradition of depicting the moon with south at the top.